Do you live in Delaware and are considering purchased Medicare Supplement Insurance? 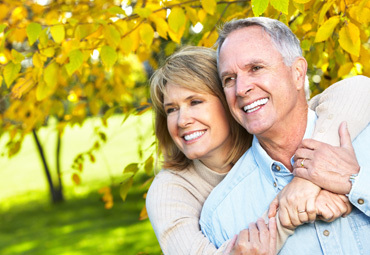 Here some helpful details that will help you learn more about Medicare supplements. Medicare is a federal health insurance program that pays most of the health care costs for people who are 65 or older. It will also pay for health care for some people under age 65 who have disabilities. You can buy Medicare supplement insurance to help pay some of your out-of-pocket costs that Medicare won’t pay. Because it helps cover some of the “gaps” in Medicare coverage, Medicare supplement insurance is often called Medigap insurance. When do I need a Medicare Supplement? Not everyone needs a Medicare supplement policy. If you have other health coverage, the gaps might already be covered. You probably don’t need Medicare supplement insurance if you have group health insurance through an employer or former employer, including government or military retiree plans. Medicaid or the Qualified Medicare Beneficiary (QMB) Program pays your Medicare premiums and other out-of-pocket costs. QMB is one of several Medicare Savings Programs that help pay Medicare premiums, deductibles, co-payments, and coinsurance. Original Medicare is sometimes called Medicare fee-for-service or traditional Medicare. You may go to any doctor or hospital that accepts Medicare. Medicare supplement policies only work with original Medicare. Medicare supplement policies only pay for services that Medicare says are medically necessary, and payments are generally based on the Medicare-approved charge. Some plans offer benefits that Medicare doesn’t offer, such as emergency care in a foreign country. Medicare supplement policies are sold by private insurance companies that are licensed and regulated by TDI. Medicare supplement benefits, however, are set by the federal government.